As mentioned by The Guardian. Note: 5 April, 2019 - the tennisdata app is temporarily out of the App Store, undergoing some edits. The new version is out. The look of the app has been made much cleaner. The results have a slight color change for every other line to enhance readability. Under Players, there is now a Rankings option. This will show the player's most current ranking (based on results - if a player has just been playing Challenger or Futures unless they're in the Top 200, their ranking will not be for the current week), his career high ranking, the date he first entered the Top 100 and the date he first entered the Top 10. Also, a Defend Points query; this returns the result and points earned (if any) for the same week last year. Under Tournament Results, the Full Results for a Year has been upgraded to show the ranking of the players in addition to the seeding. Also under Tournament Results is a Tournament Entrants option. For the selected year, all the players, their seeding and ranking, will be displayed. Like the other data, this is based on current results. This means that the list is being 'built' as the tournament progresses - and won't be complete until all players have played at least 1 match. For tournaments where no seeds receive byes this will be after the 1st round; otherwise after the 2nd. 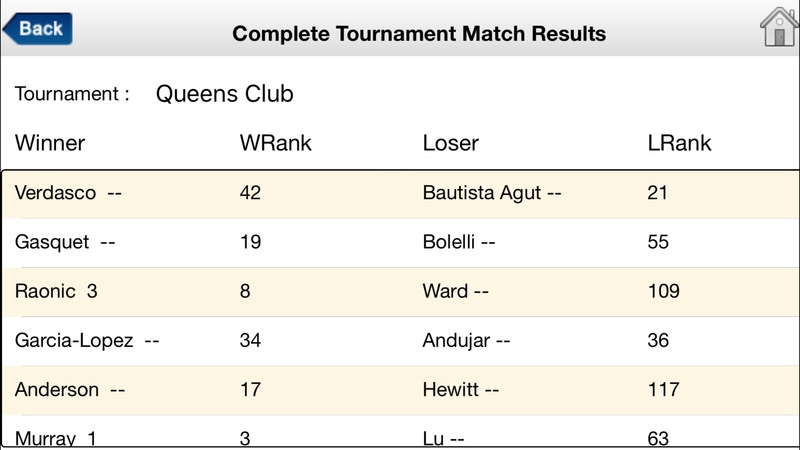 In the coming months the ranking info will be incorporated into other match results. There will also be enhancements to the tiebreak data. 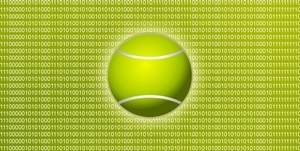 What is the tennisdata app? What kind of Player stats can I get? The app works like your iPhone. The list of players and tournaments is just like your Contacts - select a letter on the right side to go to that section of the list. The results can be scrolled, zoomed, and panned. For a selected tournament, you can find all the past winners, round by round, full results, win/loss by a seed at that tournament. The app can display the tournament winners by year, by country, tournament wins by seed, all up wins/losses by seed. And now, Top 10's (updated weekly) for Wins in the current year, Total Tournament Wins, W/L % after winning 1st set for career, W/L % after losing 1st set for career. 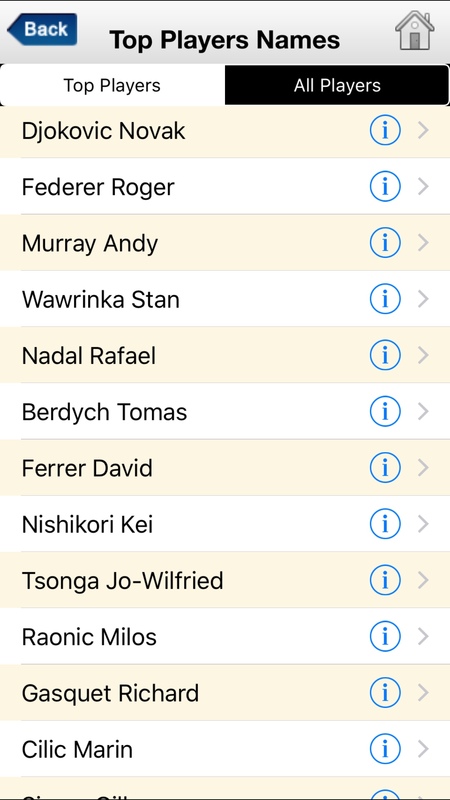 The app stores no personal data; you're a fan of tennis and the greatest athletes in the world - that's all we need to know. We want to hear from you - email us at info@tennisdata.net - and give us your suggestions. ATP is the trademark of the ATP world tour. App Store is the trademark of Apple Inc.